Amazing new construction home on 0.87 Acre lot backed up to woods w/no HOA! Open plan w/a hugefamily rm, designer kitchen w/an island, granite counters & pantry. Lrg master suite w/glamour bath & 2 BR's on 1st flr. Large 4th bedroom w/a WIC, full bath & huge rec/bonus room w/attic storage on 2nd floor.Covered back patio.Must see! $10,000 USE AS YOU CHOOSE INCENTIVE! ASK YOUR AGENT FOR MORE INFO! Raeford $249,900 4BR/3BA Plus a huge Rec/Bonus Rm w/attic storage. 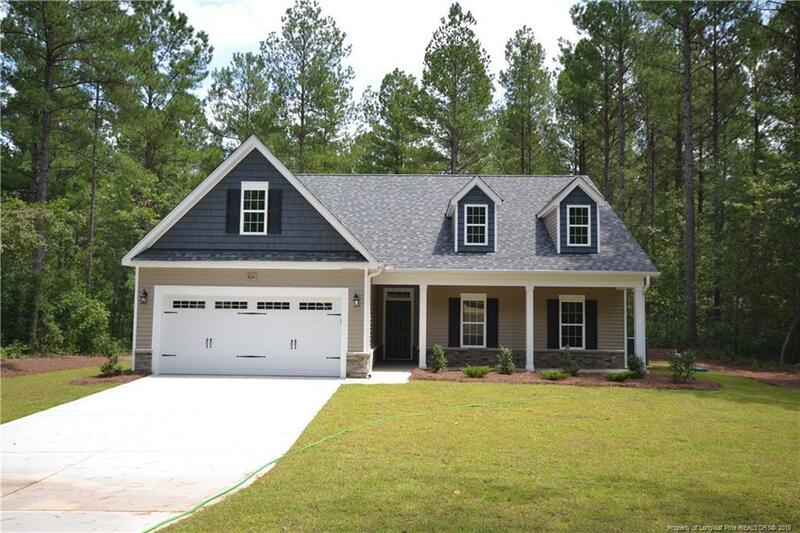 Amazing new construction home on 0.87 Acre lot backed up to woods w/no HOA. Open plan w/a huge family rm, designer kitchen w/an island,granite counters & pantry. Lrg master suite & 2 BR's on 1st flr. 4th BR, full bath & huge rec rm on 2nd flr. Must see! $10,000 USE AS YOU CHOOSE INCENTIVE! Directions: Raeford Rd, Left On Us-401 Bus S, Right On E Prospect Ave, Right On Lewis St.